NASHVILLE, Tenn.–(BUSINESS WIRE)–eClinicalWorks®, a leader in healthcare IT solutions, today announced that Palmer College of Chiropractic has selected the eClinicalWorks cloud-centric EHR for its more than 2,000 students and 158 faculty members, across 10 clinics. eClinicalWorks was selected because its flexible and customizable solutions offer a seamless exchange of patient information that promotes more effective care and better outcomes. The mission of Palmer College of Chiropractic is to promote learning, deliver healthcare, engage its communities, and advance knowledge through research. eClinicalWorks will provide Palmer College of Chiropractic Clinics the latest version of the core EHR to streamline and improve overall efficiency and communications and encourage preventive care for its patients. The cloud-centric EHR solution will empower the organization to streamline and automate processes for more effective patient treatment. Provide a fully integrated technology platform for each patient’s records. Improve Palmer College of Chiropractic’s operational efficiencies. Help ensure delivery of high-quality, evidence-based care to every patient. Give patients tools to improve their access to care, promoting deeper involvement and better medical outcomes. 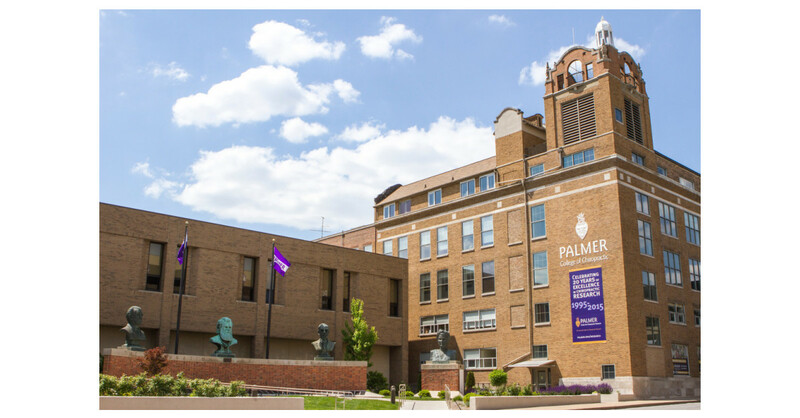 Palmer College of Chiropractic is the founding college of the chiropractic profession and is known as The Trusted Leader in Chiropractic Education®. It was founded in 1897, in Davenport, Iowa, by D.D. Palmer, the discoverer of chiropractic. Palmer College of Chiropractic has more than 2,000 students at its campuses in Davenport, Iowa; Port Orange, Fla.; and San Jose, Calif.